Where were we? Oh yes...waiting for the paint to dry. For a look back check out Go-Go Gadget Kitchen Update, A Muddy, Dusty Kitchen Update and Rock n' Roll Kitchen Update. With the paint finally dry and cured, we got busy putting the kitchen back together and mounting the cabinets. We used the existing builder's grade cabinets and the same layout, so putting them back up was a breeze. I sanded them down and gave them a coat of Zinsser Bullseye 1-2-3 Primer. Then we mounted a ledger (1x2) to the studs to make the mounting process even easier. 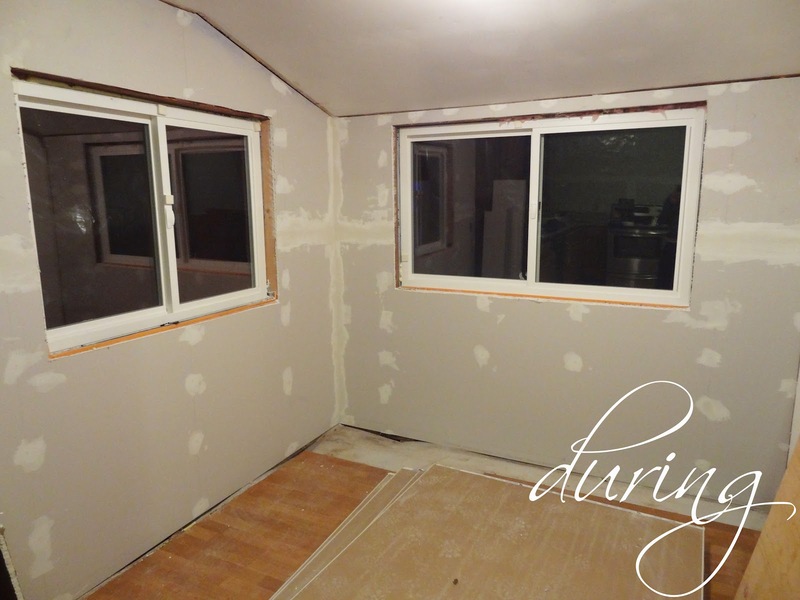 Here's where we left off in the last update...A nook with new drywall & a coat of mud and a few panels left to put up in the kitchen. 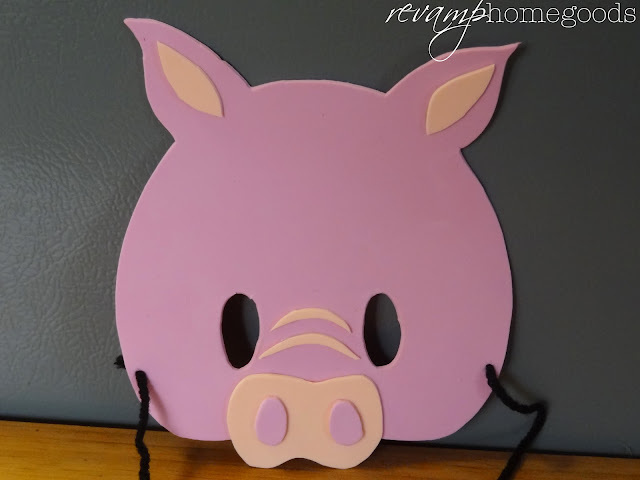 For a look back, check out the Rock n' Roll Kitchen Update. Rock n' Roll kitchen indeed...Sheetrock, that is! There's absolutely nothing more satisfying than completing a large project, especially one that was fighting you every step of the way. Well, we're not finished quite yet, but we are well on our way. The kitchen was pretty good to start with. 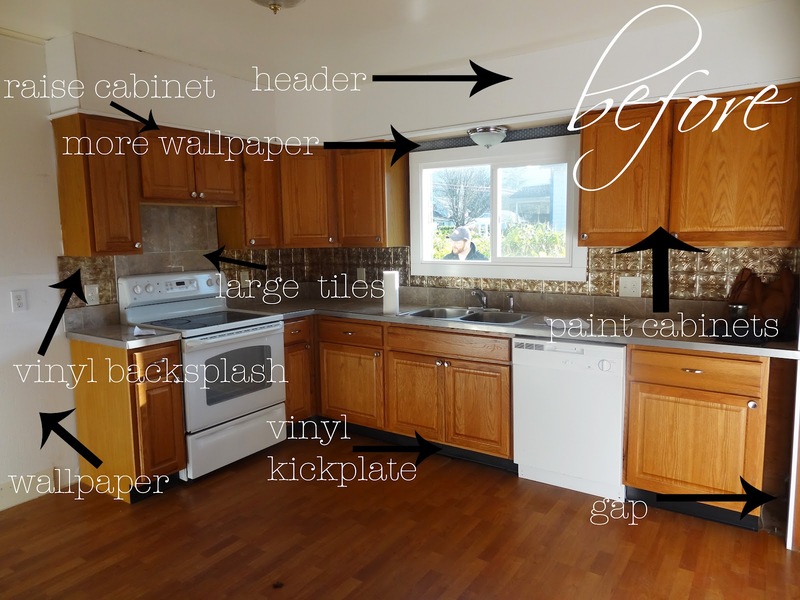 The cabinets were relatively new and the flooring was okay. Aside from the FOUR layers of wallpaper, we were pretty much content with it staying how it was after we upgraded the appliances to stainless steel, until we realized that the cabinet was too low above the stove for the over-the-range microwave to fit. So, the cabinets (or cabinet) would have to be raised and that meant the header-thing (or soffit, if you're technical) would have to be removed. And then the list of things we wanted to change snowballed from there. The breakfast nook, on the other hand, needed much more work. And on top of the stuff we had to do, there was a lot that we wanted to do, like build a bench & bookshelf in the nook. We're headed to the Oregon Zoo in a couple weeks. I love experiencing the zoo with kids. They're just so excited and so in love with every single animal. I don't love the expensive gift stores, though. 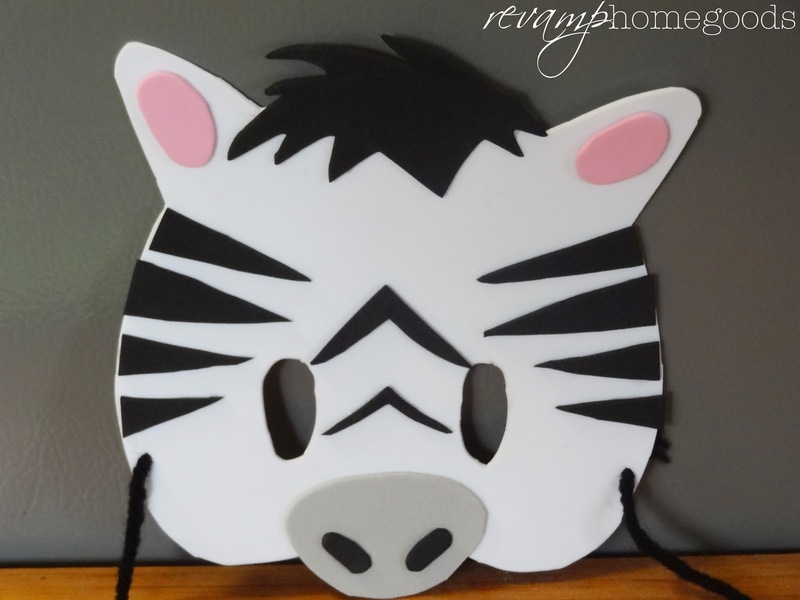 So, to ward off the wallet-busting trip I made these adorable and inexpensive animal masks which could take the place of any of the expensive crap sold at the gift store. 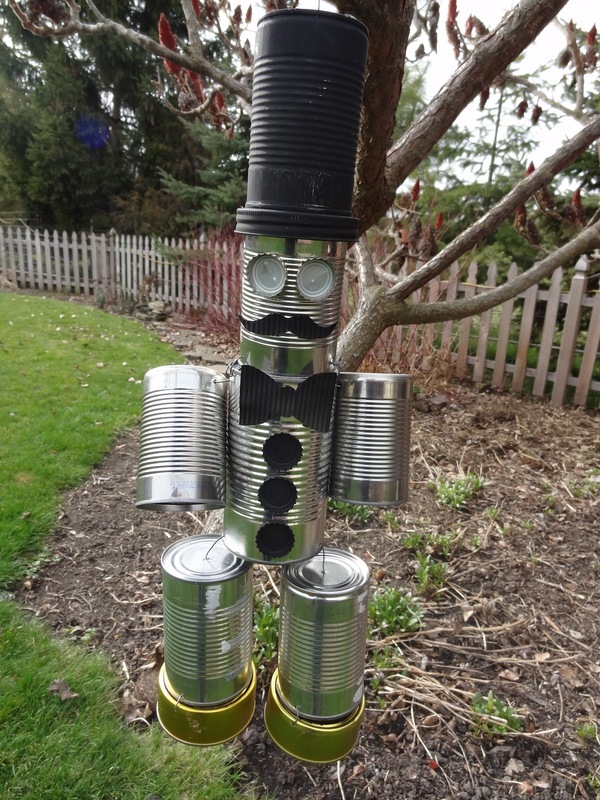 While my boy was a little too young to help out, this would be a perfect craft to share with your kids. As I mentioned before, I'm at it again ~ it's Pinterest Challenge - Winter Edition time where all us Pinners finally start doing and stop pinning, for a little while at least. Thanks to the ladies over at Bower Power Blog, Young House Love, The Great Indoors and Hi Sugarplum for lighting the fire under all of us! Please allow me to introduce, Mr. Fancy Shoes. With the first sign of spring, I'm usually in full-fledged cleaning & organizing mode. I love busting open the windows for some good ol' fresh air and getting my spring cleaning on. And why stop at the house? 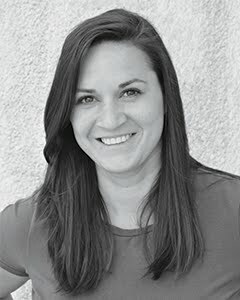 The blog underwent a design overhaul this past weekend thanks to my awesome friend Kat and I am feeling really good about it. Like jumping up and down good. There's nothing like a clean home (or blog) to inspire some creativity. So what do you guys think? Are you digging it as much as I am?